Ah, the educational vacation (or family road trip). It’s an American institution as old and sacred as apple pie, dating back to the pioneers (“Come on, kids—grab your cornhusk dolls and climb in the ol’ Conestoga!”). 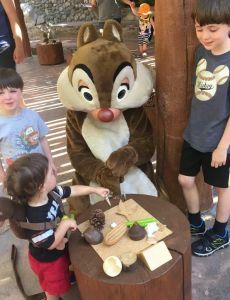 It’s the particular pride and glory of the homeschool family, who can pack their bags and head for the sunny shores of Orange County when lines to see Mickey are blissfully short and public school families can only breathe sighs of envy. Of course, you’re still dealing with small children trapped in a confined space for dozens of hours in a situation that could devolve into Lord of the Flies-style anarchy without constant parental intervention. Plus, there’s the all-important education piece—if you take weeks off to hit the road, how do you homeschool when you’re neither at home nor in school? 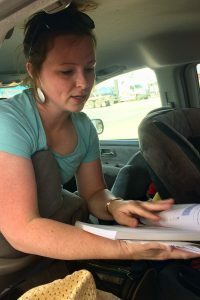 Following the tire treads of Christy Thomsen’s excellent article on roadschooling in the spring issue of “Home Educator Quarterly,” read on for ways that you can conquer the open road with style, and follow along with my family—the Boswells—as we attempt an epic homeschool road trip. This is the first of four missives and check the THSC Facebook page more pictures! 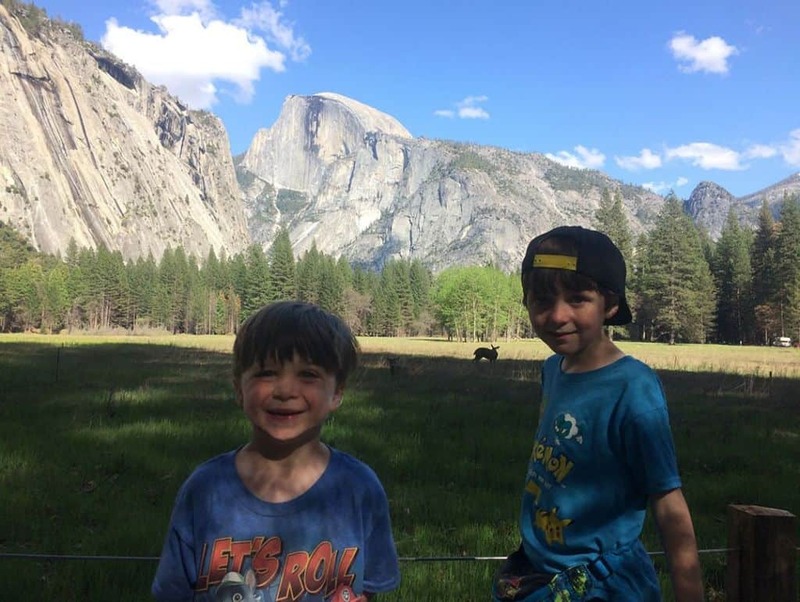 The trip: a three-week odyssey from Fort Worth, Texas, through New Mexico, Arizona and California, taking in national parks (Yosemite, Grand Canyon, Sequoia and Kings Canyon) and theme parks (Disneyland, Legoland) and everything in between. 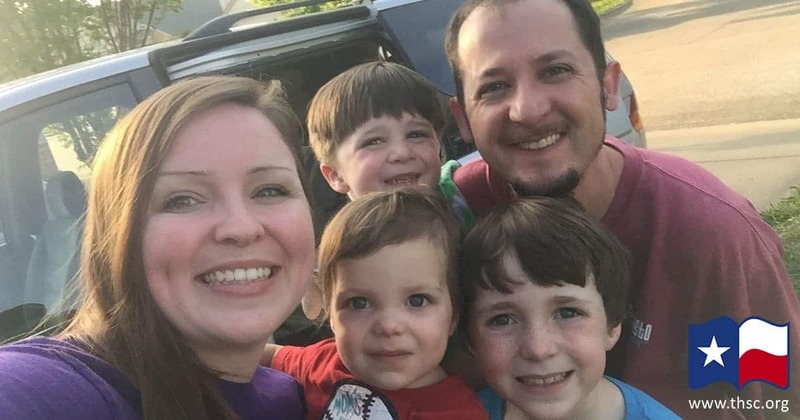 The family: a full-time homeschool mom (Kristi), a homeschool dad (me/Tim), and three fun boys aged 9 years, 4 years and 18 months. Our nation offers a wealth of chances to broaden your kids’ horizons. Build flexibility into the trip—time to have adventures, marvel at wonders and ask big questions. Plan an itinerary that allows your kids to see something they’ve never seen … cultures, history, geography, scenic splendor… and to really take it all in. Build interest and accountability by holding family planning meetings. Our kids weighed in on where to stop, what to see and more. On the trip, they’ll remember their decisions; for example, ours agreed we should forego happy meals and make PBJs so we’ll have more money to spend on unique souvenirs. Trips are a great opportunity for kids to learn about choices and consequences. Some are obvious: regular school books and supplies. Others are less so: books on states you’ll travel through; notepads for journaling observations or sketching landforms; “National Geographic” or viewfinders for younger kids; books on CD; historical novels; a wilderness explorer kit with binoculars, compass and magnifying glass; and other tools for connecting them with their new frontier. Check out library books about the areas you’ll see; use YouTube videos for behind-the-scenes looks at attractions, museums, etc. 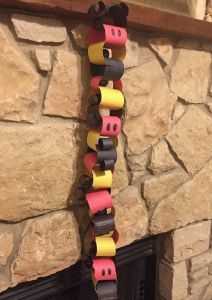 ; tell stories from your own childhood trips; have the kids help pack; use a countdown craft—since we’re visiting Disneyland, my family made a Mickey-themed paper chain and the kids took turns tearing a link off each night leading up to the trip. This applies to kids and parents. When you plan schoolwork, understand that distractions while driving will make it hard for kids to focus. Communicate to your kids how much of the trip will be book-based school and it will head off surprises. You should realize that the bulk of their learning will come from other sources anyway—that’s the beauty of roadschooling! As for us, we finished packing, loaded the mini-van to bursting, and set off. We were three hours past our planned departure, but that goes back to being flexible, right? After all, we’re homeschoolers, and the big, amazing world beckons. Building boats to sail at Legoland. We drove cross-country for days, listening to soundtracks and playing car games, completing school subjects in the back seat and staring out the window with a tantalizing goal beckoning: sunny California and a visit to the Mouse House. For many families, the gold standard for vacation is a trip to a Disney park. There’s nothing like it to wear you out, push your patience to its limits, drain your bank account … and give your kids day after day of wide-eyed wonder. 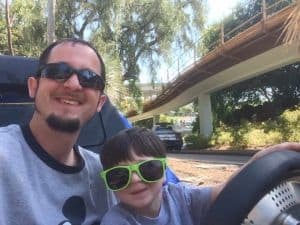 For homeschool families who are educating on the go, however, the hectic frenzy of theme parks can pose a challenge to the best-intentioned teacher. Adding to the difficulty is the sheer exhaustion you’ll face. Families walk an average of 6-7 miles per day at these parks. It’s a marathon for small legs. When we reached the coast we were already tired from two time zone changes and disruption to schedules, so our boys were drained by lunchtime. It’s hard to nurture the mind when the body is depleted. Trips play havoc with kids’ routines. To combat early sunlight in hotels, get rooms with blackout curtains or tack up a towel or blanket over the window. Have snacks or juice ready to keep blood sugar up; plan plenty of breaks; and drink lots of water. For little ones, keep to the normal nap schedule, even if it’s in a stroller. Remember that your kids will be learning even (and especially) when the books are closed. There is great benefit in seeing people from around the world, experiencing new places, and glimpsing how diverse the planet really is—not to mention practicing patience (and seeing you model it), cooperation, responsibility and respect. While the STEM subjects are important, it’s likewise critical to nurture creativity and wonder in our children. That open-mouthed, wide-eyed look? Those inventor-explorer-designer-creator wheels you see spinning in your kids’ brains when they see what others have built? These are good things. Powerful things. Encourage them. Disney parks offer a remarkable number of learning opportunities. 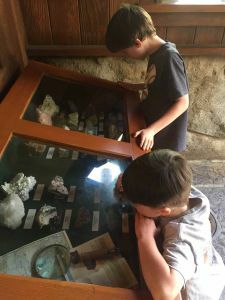 From history (“Great Moments with Mr. Lincoln”) to literature (“Tom Sawyer Island”—read the book before you go), you’ll find educational plaques, displays, attractions, interactions and more. Watch for opportunities to guide your child into learning something new. When a breakdown happens, or a tantrum; when they see something they don’t understand, or that worries them; when they don’t know how to act, or how to keep themselves occupied—you can get impatient, frustrated, or dismissive, or you can seize the chance to teach, model and guide. 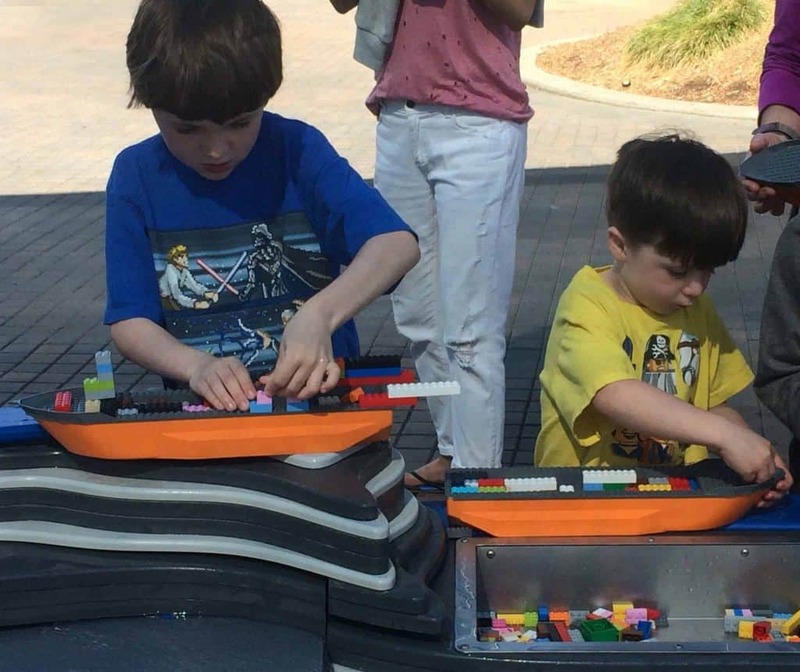 Although it was harder to find classic educational content at Legoland, it certainly inspired our little builders as they marveled at what a ingenuity (and a few million plastic bricks) can produce. We also found places like Miniland, USA, where we read the plaques and learned the history and landmarks of major U.S. cities replicated in Legos. We had a blast at the theme parks, but we were also glad to head to the great outdoors and the splendor of God’s creation. Next stop: Yosemite National Park. Half Dome at Yosemite – Look closely and you’ll see two deer. In our age of media saturation and entertainment spectacles, it’s an accomplishment to find something that still delivers the “wow” factor for our kids—better still if it’s God’s glorious creation dropping their jaws. Our country’s network of national parks is a treasure (and inexpensive to boot), and who doesn’t love that? Of course, these national parks—like the theme parks—require some planning. We drove to Yosemite National Park and spent the night at a lodge just outside the park boundary. The next day, we spent about three unforgettable hours in Yosemite … searching for a parking spot. We had underestimated the crowds and hadn’t arrived early enough. We were at the point of giving up and leaving when at last we succeeded. 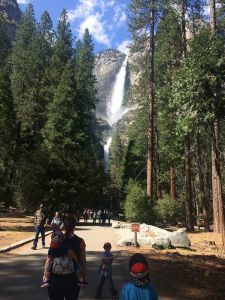 Next, it was off to the trails: to see the highest waterfall in North America, deer in the meadows, granite monoliths, and Half Dome; to scramble boulders, jump over creeks and climb fallen logs. Off to see the highest waterfall in North America. The next park was Sequoia National Park, where we stood under the biggest tree in the world (General Sherman, 103 feet around the base) and walked in hushed reverence through a wilderness cathedral of 2,000-year-old woodlands as snow tumbled down. Simply amazing. Here are a few reflections from our time in the great outdoors. I had a list of highlights for Yosemite—Half Dome, Yosemite Falls, El Capitan—and when we couldn’t even park, I grew very frustrated. 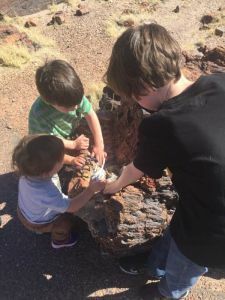 Once we took a break from circling the lots and went to a picnic area instead, I found the kids were happy to balance on logs, make percussion instruments with sticks and stumps or inspect huge pinecones. Help your kids learn to enjoy the wonder and beauty wherever you are, even if it means bypassing your “must-see” items. Your kids have likely picked up quite a bit of information about science and history. 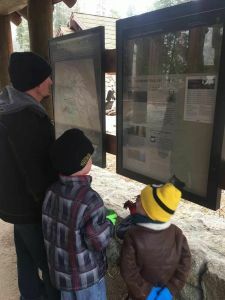 Let them serve as guides in the car and on the trail, telling the family about nature, weather, landforms, animal tracks, survival tips, local legends or whatever else they know. Get them books ahead of time for this purpose. They can read on the trip and then share knowledge as you hike, climb or paddle. 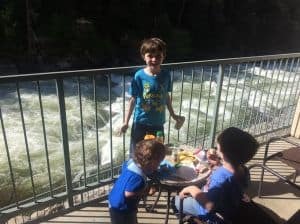 Our Yosemite lodge room was right on the bank of the Merced River which was rushing with snowmelt, its roar so loud it filled the room even with the doors shut. Our balcony overlooked this awesome sight, so we bought graham crackers, chocolate and marshmallows, and we made s’mores and ate them watching the river rapids below. My wife and I saw the opportunity and it made a great memory. Be on the lookout for possibilities and put the pieces together to create a time the kids will remember. Enjoying a little breakfast al-fresco. There is so much to see and do even in the (comparatively) laid-back experience of a wilderness trip that it’s easy to be busy all the time. It’s good to be seeing, doing and learning all through the day, but kids also need a chance to absorb like anyone else. Plan time to just sit and be still. Let the silence settle. Listen. Marvel. Soak in the majesty of creation. We still had nearly a week left of our vacation, but it was time to start working our way back toward Texas and home. Yet we had many sights left to see along the way—deserts, canyons, and more, some of it quite—well—grand! 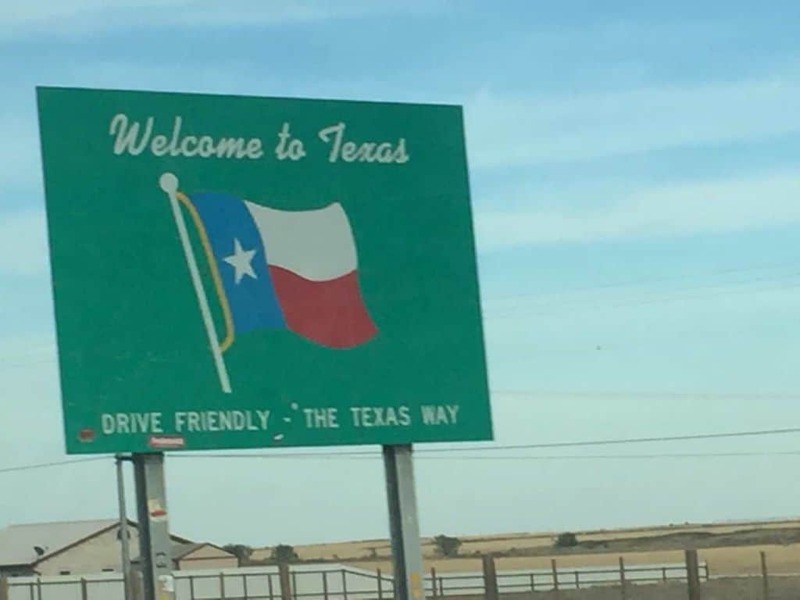 We were on our way home to Texas from California, but we planned a route that broke up the drive with scenic stops along the way: the Grand Canyon, Petrified Forest, White Sands, and Carlsbad Caverns. First, we walked the rim trail of the Grand Canyon, keeping a VERY firm grip on the younger boys, and watched the cliffs, clouds, and Colorado River shift colors in the sunset. Next, we had an off-trail, boulder-scrambling adventure in the painted desert near Petrified Forest. 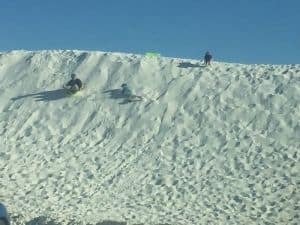 The kids’ favorite, though, was White Sands; after purchasing sleds in the gift shop, we hiked up dunes and sledded down—until the boys decided it was more thrilling to jump, roll, and pinwheel down the slope instead. We had hours of fun! 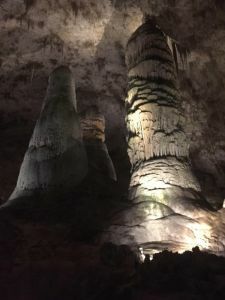 Then at Carlsbad Caverns we “ooh”-ed and “aah”-ed over massive cave formations, impressed the park ranger with the kids’ knowledge of speleothems, and saw the so-called ‘bottomless pit’ (“Hey, that’s what you call me,” said our oldest, Ben, who is always hungry). All too soon, our final adventure of the trip was over, and it was time to drive home. We made sandwiches and broke out the schoolbooks again. Later, we took turns sharing favorite memories and laughing over the funny parts. We were dirty and tired, but happy. As great as the trip was, there’s no place like home and we were ready to head back. At some of the national parks, we did not have cell service or internet connectivity even in our room, and honestly it was nice to unplug. Consider intentionally having a “device break”—no screens, and this includes you! It encourages everyone to focus on each other and the experience. Nature offers countless object lessons to share with your family, if you look. I was fascinated to discover how beneficial fires can be for sequoias; most survive, spread and grow stronger because of the flames. What can we learn from this about facing the fires of life? What can we learn about humility from the Grand Canyon? Rather than plunging straight back into your regular school day, I recommend a gentler transition. Plan a buffer day to rest, recover and unpack, or have a half-day of school to ease into it. Have them journal about the trip, make a scrapbook, and write a letter telling stories or draw pictures of their memories. At the end of the day, it can be discouraging when the vacation is over, the bills need to be paid, work needs to be caught up and everyone is exhausted from the trip home. Remember why you did this in the first place—making family memories, expanding your children’s horizons, educating them and inspiring them to reach higher goals and seek even more adventures. If you’ve accomplished this, then your roadschooling trip was a success. At last, around 2 a.m., we arrived home and carried the sleeping children to their beds. It had been a long journey, with some bumps and bruises, but also lots of joy, beauty and excitement. The past three weeks had delivered a huge variety of experiences, and we had learned a lot along the way. What a trip…now it’s time to start planning the next one! 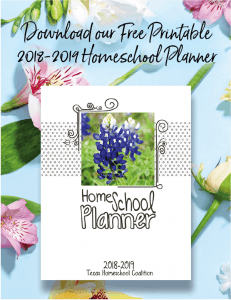 Fearlessly homeschool how you see fit, like the Boswells have done, knowing you’re backed by the support of THSC membership and its exclusive CPS hotline, with direct access to attorney consultation in the event of an emergency. Join THSC today!